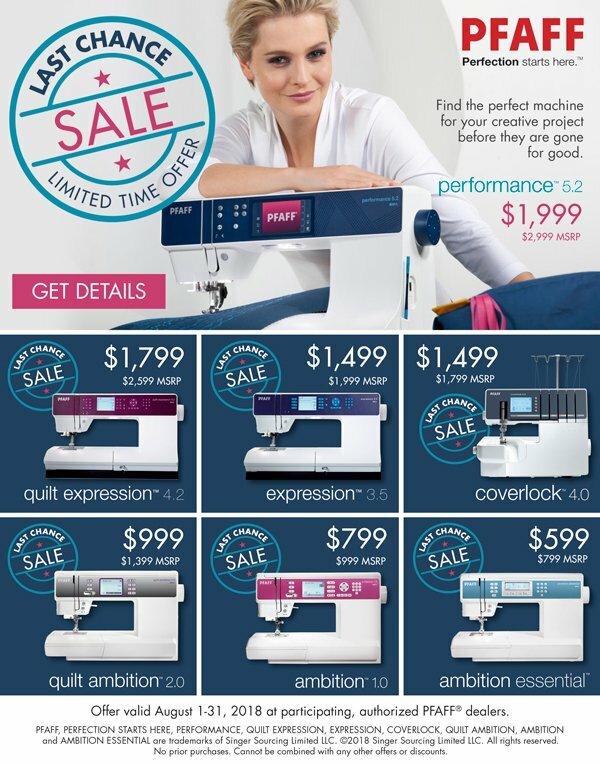 Last Chance on Select Models! 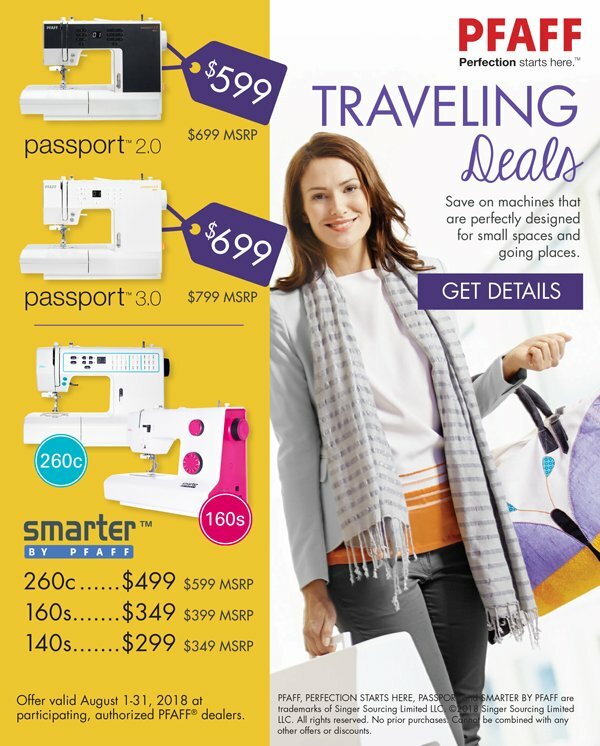 Save on machines that are perfectly designed for small spaces and going places. This sale has been extended till the end of August! Let's Celebrate... The kids are back in school. Have you started your Christmas presents? Don't forget to get your quilt tops in to be quilted by Sandy.